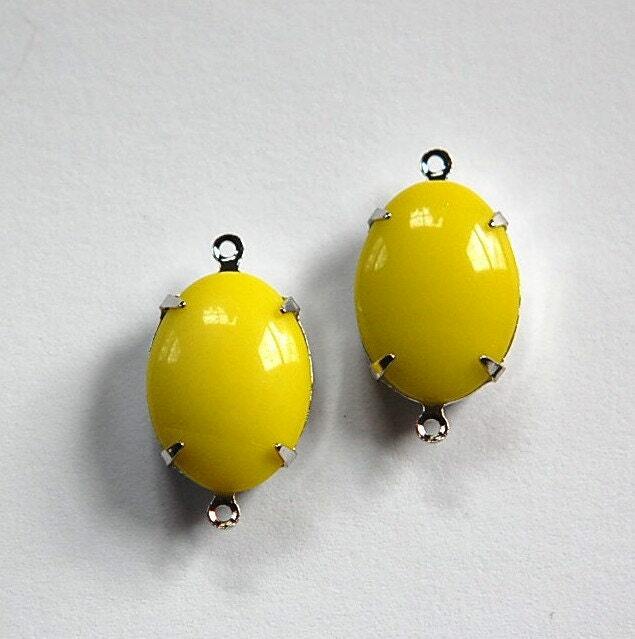 These are vintage yellow glass stones set in a two loop silver plated setting. 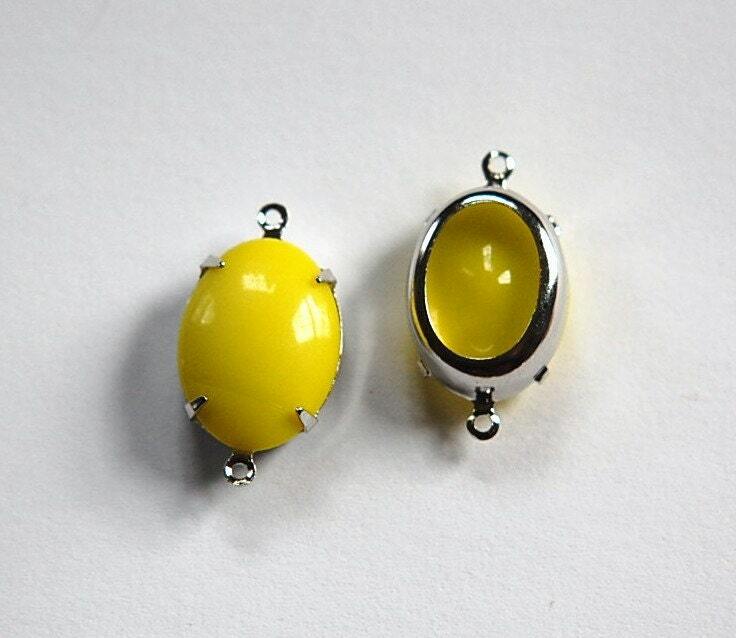 The stones measure 18x13mm. You will receive 2 pieces.